Hello everybody! Folly here to bring you weekly posts about the lovely merchandise that pony fans make! I’ll be doing this every Friday, and today we can pretend that it’s Friday, and not Monday like it really is. 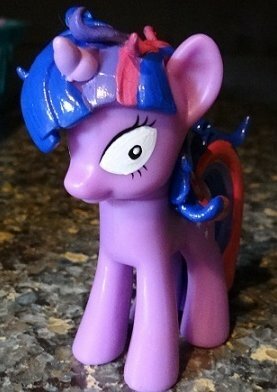 First off is a Twilight Sparkle blindbag customized into psycho Twilight from Lesson Zero for $35. I… feel like this would be absolutely terrifying to have in my room all the time, but that doesn’t make it any less awesome. 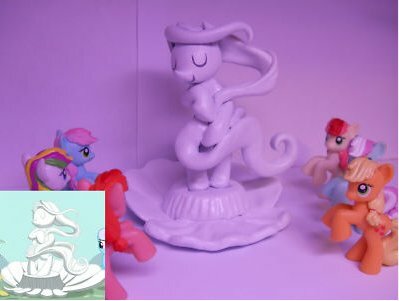 Next up is a recreation of the Venus sculpture that Apple Bloom made in Cutie Pox! The auction is, at the time of writing this, at only one cent. Here we have a 16″ x 20″ painting on canvas board of Rainbow Dash for $50! And she’s scientifically accurate, and science is AWESOME. Can I just say that there are some pretty awesome shirts? At $25 apiece they come off a little on the spendy side, but they have a design that involves Pinkie Pie singing Chocolate Rain. Just try to tell me that that isn’t totally worth throwing money at. 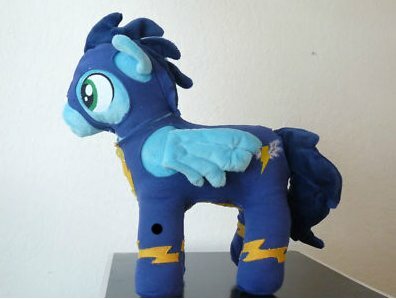 And next is a minky Soarin’ plushie with a fully removable flight suit, currently at $51 with 5 bids! 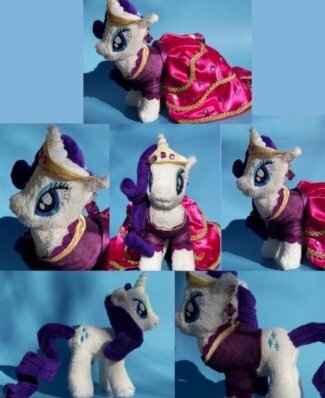 And here we have a Mysterious Mare Do Well plushie, made entirely from minky. This is the first MMDW plushie I’ve ever seen, and may very well be one of the first that’s been made (don’t bother correcting me if I’m wrong on that). She’s currently at £35.00, which I think translates to about 45 US dollars. Okay, well, that Parasprite may just have competition. Here we have Lyra and Bon Bon… with magnets in their noses so they can kiss. Awwwww. Bidding is currently at $82, Though there is a reserve that hasn’t yet been met. And that’s all for this week! If you want to submit the awesome MLP merchandise you find or make, you can email me at Folly@derpyhooves.co, or just hit the submit button! See you next Friday (the real Friday, I promise)! Oopsie! ;; Fixed, thanks for pointing that out! Derpy News My Little Pony is powered by WordPress. Design by	gazpo.com.